When we were working on the Business Blogging Checklist for the Social Media Starter toolkit, we brainstormed on what we think a great business blog is and of course, what it isn’t. Do you post every day at a stretch for one week and then, disappear for the next two? Or do you post once a week sometimes and twice when you feel like it? An inconsistent posting schedule doesn’t give your readers the sense of predictability and also, doesn’t show that the blog matters to your business. Set a posting schedule that works for your team and you, and then, stick with it. Whether it is once a week or twice a month, make sure you’re delivering content and telling readers when to expect it. 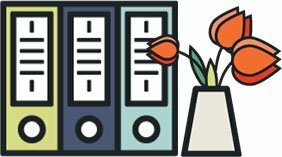 One of the easiest ways to create and stick to a posting schedule is by creating an editorial calendar and map out potential topics and posting dates. However, many of us get carried away with what we read and see online and end up creating a calendar that doesn’t run well with our overall business vision and values. Does your blog reflect what your brand stands for? Does your blogging strategy support your business goals? Sometimes, when faced with the idea of writing a blog, we either freeze or fly with the digital pen. In other words, we either clamp up and write super-short posts that don’t inform or entertain your readers or we swing the other side and write epic 1000-word posts, each time, boring our readers to tears. Find a balance. Two posts of 400-500 words each is better than one 1000-word post. Be ruthless with your editing. Cut out unnecessary words, fancy-sounding phrases and make sure your writing is clear, concise and crisp. Your business blog is not your playground. It is a hub for your social media marketing strategy. It is a place for your customers to learn more about your brand and what you do. It is a space for readers to be informed and engaged. But it is not a place where you can push, shove, be rude or unpleasant. Of course, you can express your views and opinions but do that professionally and don’t turn posts into sparring matches. Just for the sake of doing so. One of the most commons ‘sins’ of business blogging that I have personally come across is a lack of engagement with readers. I know business owners are busy people (ahem!) but if you have a blog and that blog has a comment, answer it, acknowledge it and appreciate it. Also, the blog exists because you want to connect with your customers and take the brand experience beyond your website, so invite them to share, ask and tell. Engage with them. It is tempting to follow the crowd and use cookie cutter content on your blog. 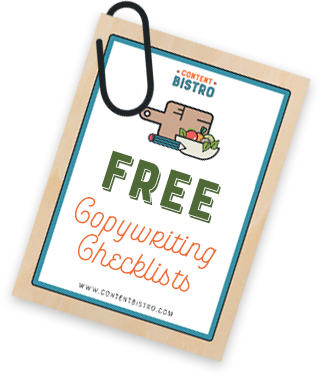 Don’t succumb to the temptation to be someone else on your business blog. The reason customers and readers would want to sign up to your blog and visit it again is if they can see more of YOU and your brand and not someone else. Be genuine. Be real. Be authentic. Again, a ‘sin’ that we often have to deal with. Clients expect a business blog to start attracting thousands of readers and hundreds of comments within the first few weeks. It takes time to build a blog audience. It takes effort to nurture it and grow it into a community that engages, thrives and flourishes. 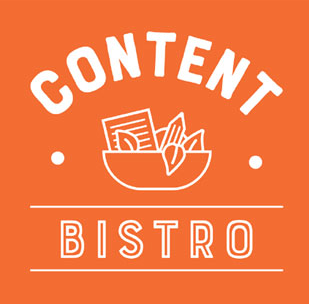 So, be patient and focus on putting great, useful content out there on a regular basis, engaging with the readers who do come in, sharing your content socially and being genuine and personable. 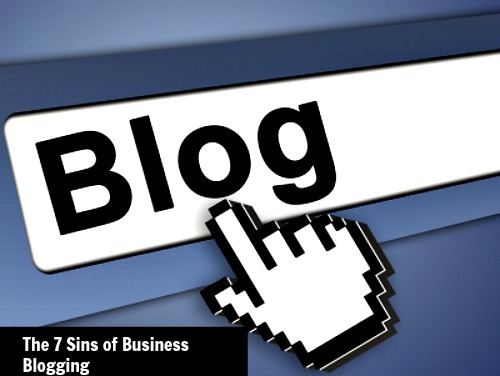 Is your business blog guilty of any of these sins? **smiling** Share with us in the comments.